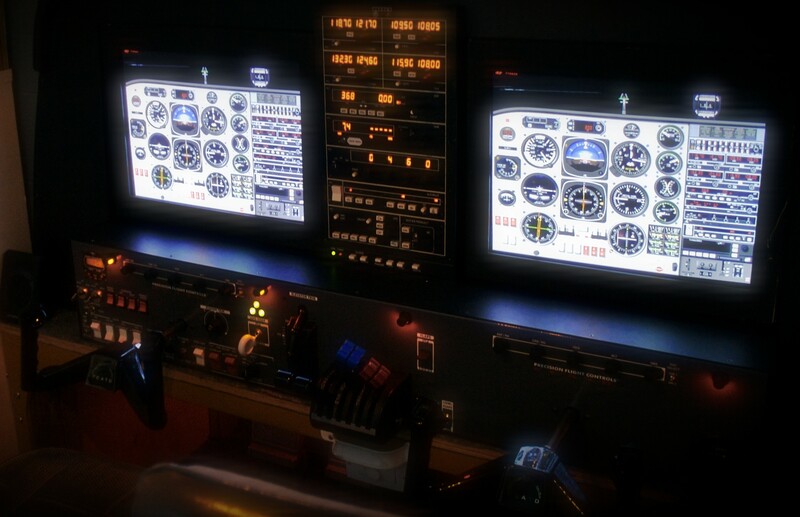 The Langley Flying School Flight Simulator is manufactured by Precision Flight Control and has been upgraded with the X-plane simulation software. It is certified by Transport Canada to provide instrument simulator training for the Private and Commericial Pilot Licences, as well as the Night, VFR-OTT, and Instrument Ratings. 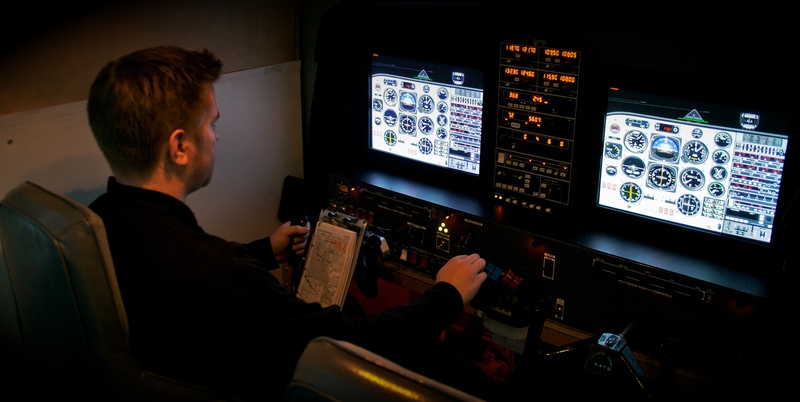 Because this simulator is a pure instrument training—without unnecessary motion or VFR graphics—its use provides substancially to reducing the training costs for Langley Flying School students. A second feature of the Langley Flying School Flight Simulator is that it provides for two operating pilot positions, making more effective for dual instrument instruction, and perfect for mult-crew flight training, involving co-ordination between the Captain and First-officer (Pilot-flying/Pilot-not-flying) positions. See our Multi-crew Standard Operating Procedures Training program for more information.